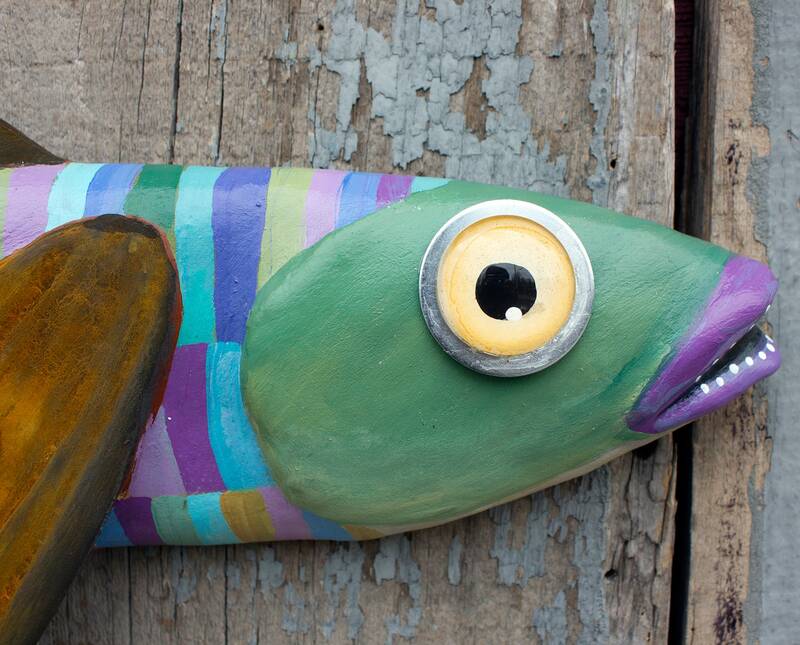 Meet Boomer! 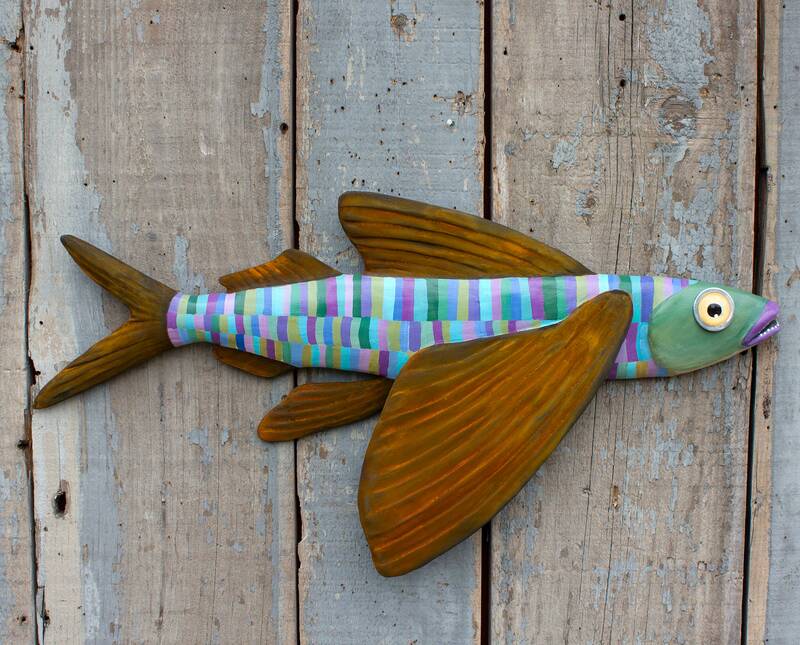 He is a stylish, colorful Flying Fish ready to brighten up your walls and heart. 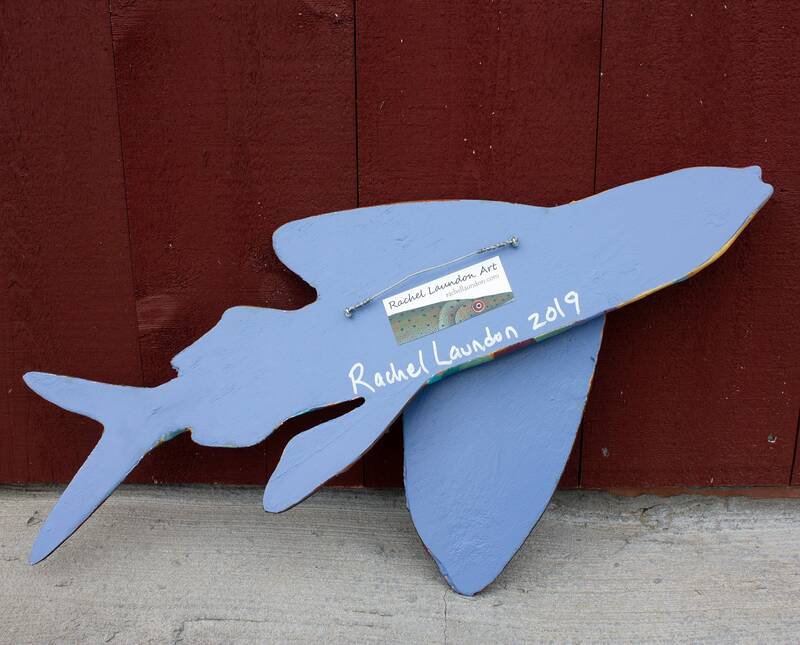 Created tip to tail by Vermont artist Rachel Laundon. 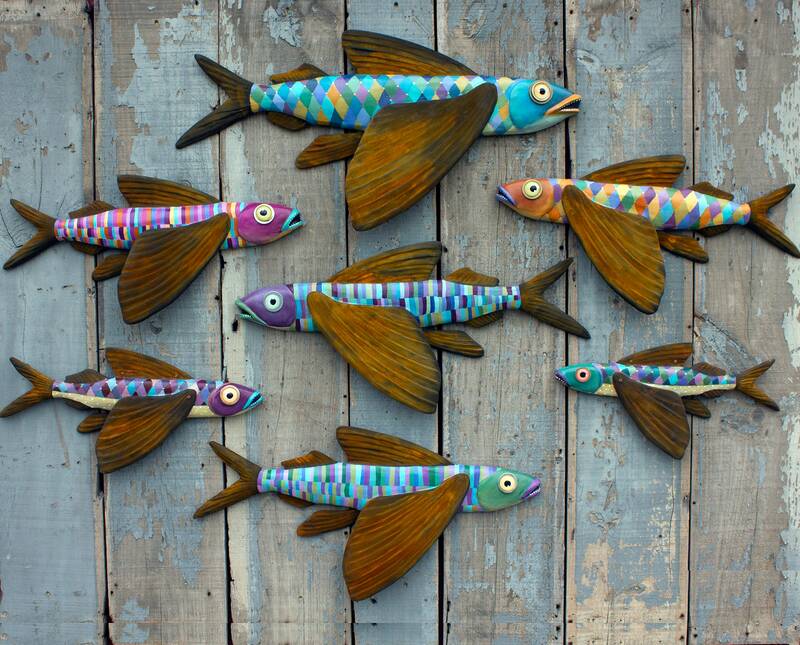 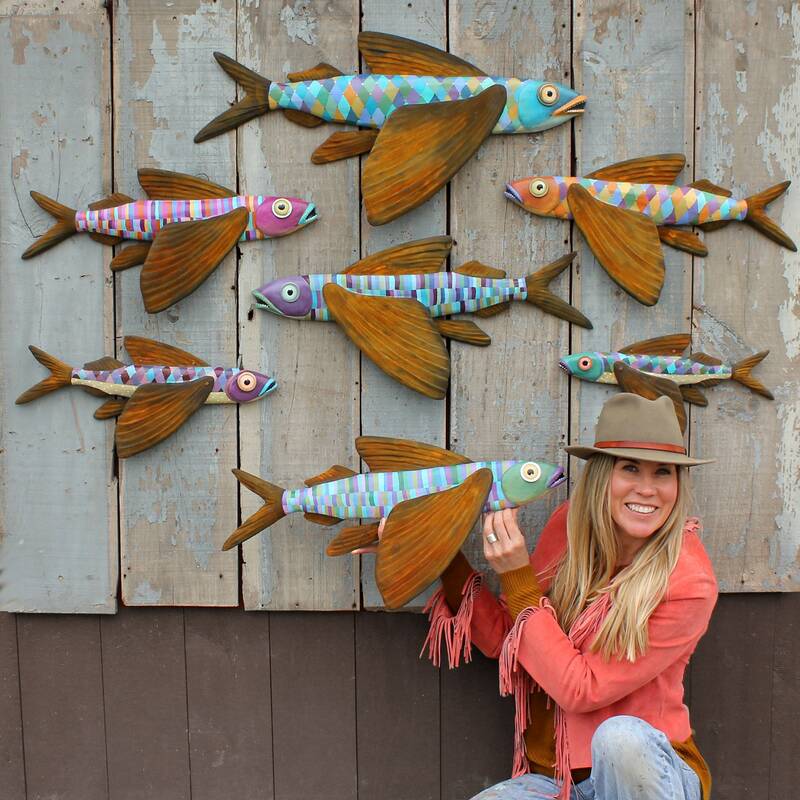 This Flying Fish folk art is original, sculpted from wood and air dry architectural clay. 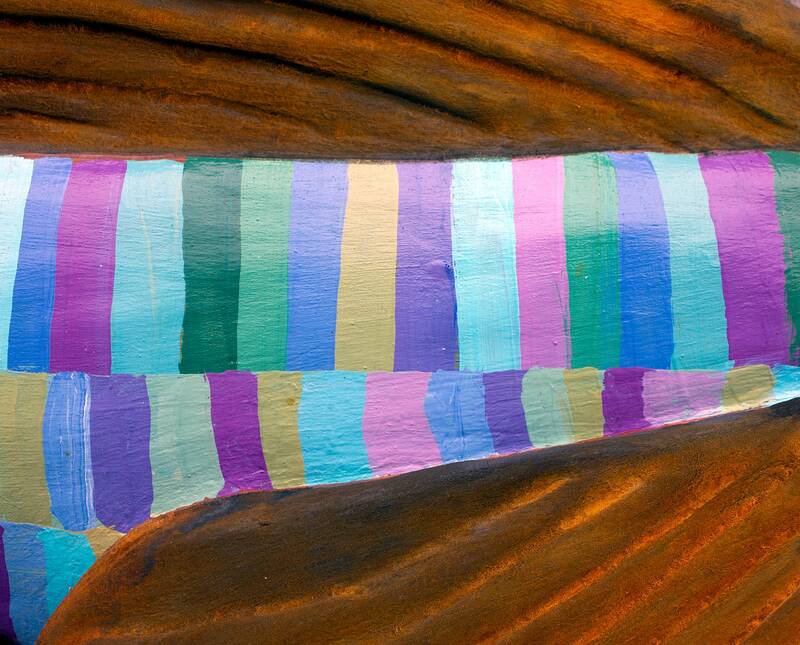 I painted his colorful body with fine art acrylics, rusted his wings, and hand painted his glass eye. 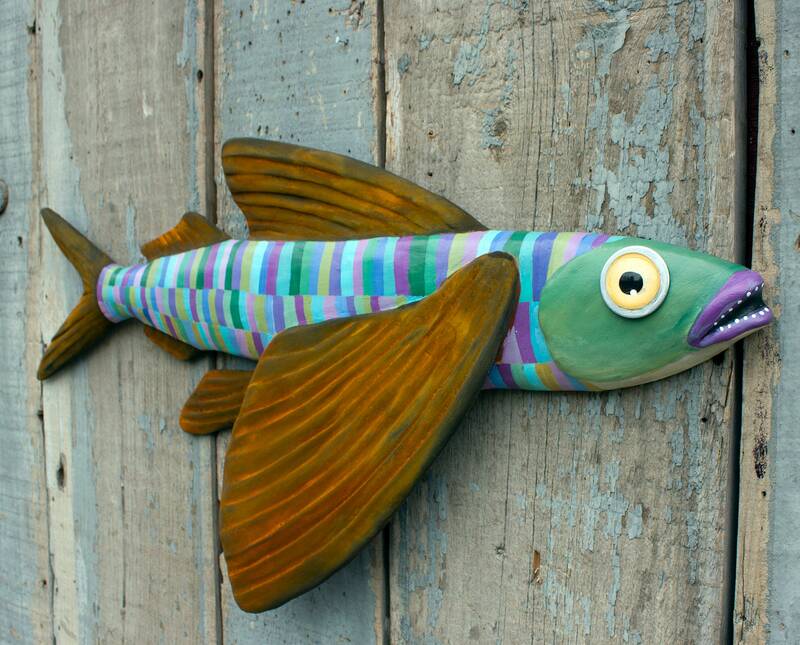 This piece is signed and dated on the back and sports a hanging wire for easy mounting.